I See the Light(s) – Loy Krathong! Yesterday was the last day of Loy Krathong and it’s the day where most people all over Thailand usually release floating and flying lights – or more correctly Krathongs and Lanterns (and fireworks) – with their personal wishes. Krathongs (either made on a slice of a banana tree trunk, bread (both biodegradable) or styrofoam) are sent into the water as a thankful gesture to the water goddess and the person make their wish as the water washes away their sins, anger, etc. 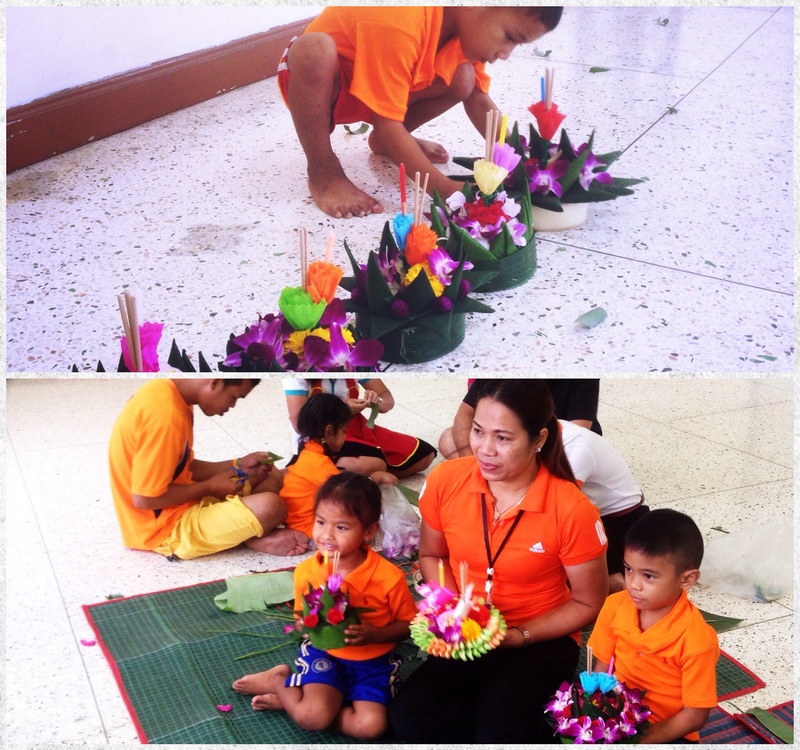 We made some Krathongs at the Orphanage (picture to the left) and I headed to Pattaya Beach after work, once the evening set in,with my two purchased ones (picture to the right). I really want to tell you my wishes, but like everyone knows, they won’t come true then so, sorry, no can do (feel free to guess them in the comment field below, with the lantern I made in total three distinguishable wishes!). 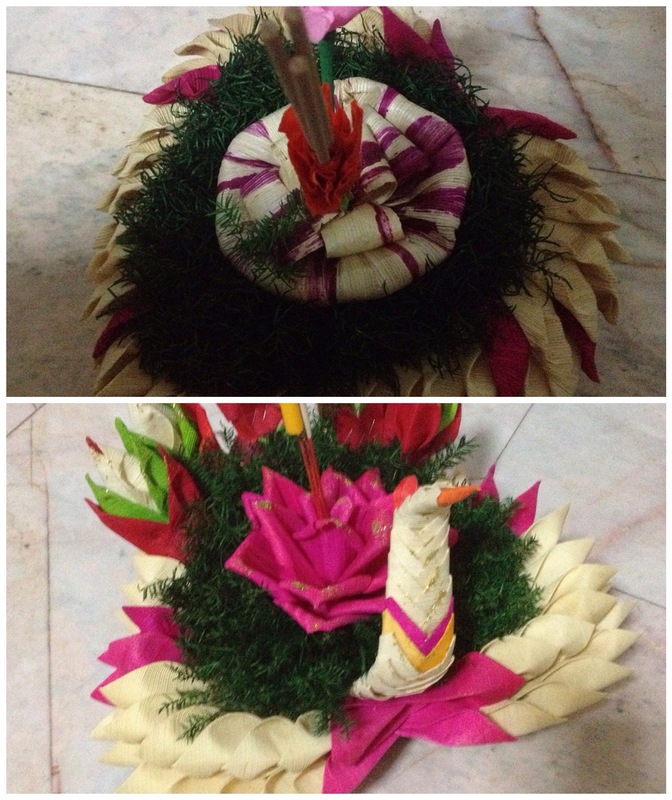 It got to be said that the Thais are really creative when it come to making Krathongs. I’ve seen some looking like large Asian ships and even dragons. I can recommend one thing when considering buying anything in Thailand: Have a browse first. Not always because of the price, but also because of who’s selling. There were loads of people trying to sell lanterns on the beach. However, I told them I was still deciding until I met two girls I believe must have been from a Thai girls’ scouts or something like that. I definitely didn’t mind paying the Baths to them and they were the sweetest helping me get the lantern up and away. If you can, I recommend taking a trip to Thailand around the time of Loy Krathong. It was really stunning watching all the lanterns soar over the busy city lights that is Pattaya; very much like a real life scene from Tangled; like a wave of hopes and dreams. I had to stop myself, while wandering along the beach singing the Tangled song to myself, when I remembered an episode in Spain: We were sitting outside in a nightclub when a couple lanterns soared by over our heads and I ‘aaaah’d and expressed my excitement of looking at someone’s hopeful wishes. One of my dearest girls laughed and shook her head. I believe she thought me a bubble head (A). She’d have facepalmed herself if she’d seen my face yesterday. I would like to think me and Gatsby is tied for “the single most hopeful person” description. Today’s funny note: I finished the night going for my very first Thai Massage, stay tuned for that story! 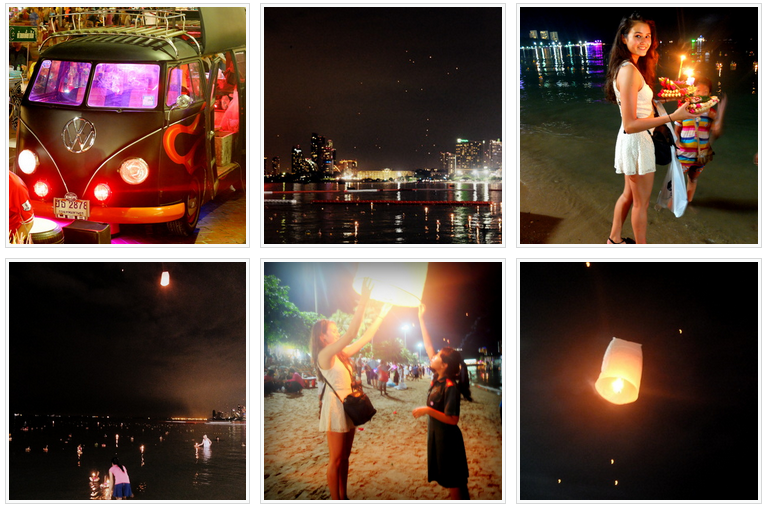 Have you ever been to Loy Krathong? Next Post My First Thai Massage!